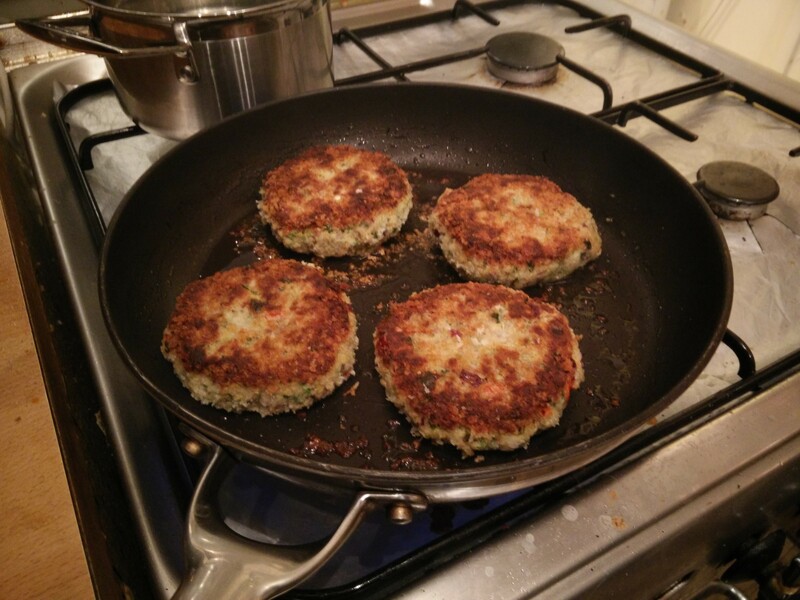 These chickpea and coriander burgers sound like a healthy and tasty alternative to a lot of red meat. 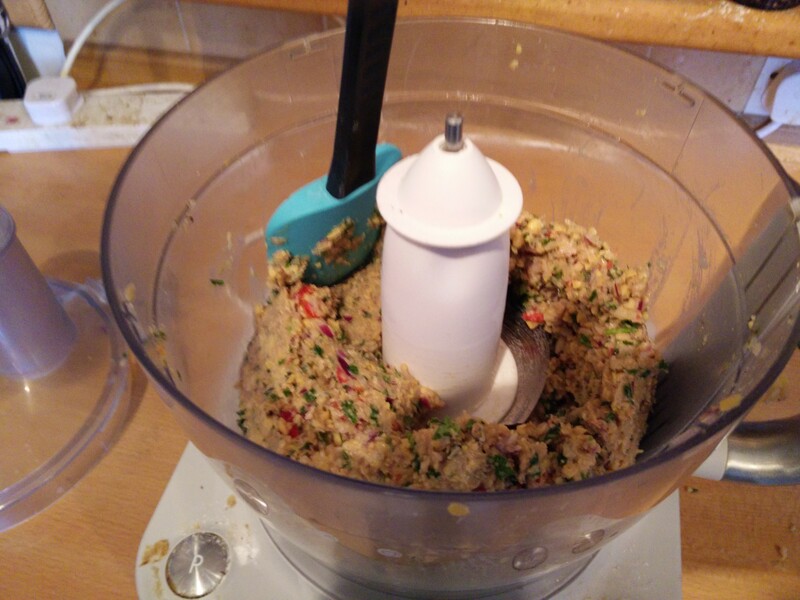 They’re also nice an easy, as you just bung everything in the food processor. 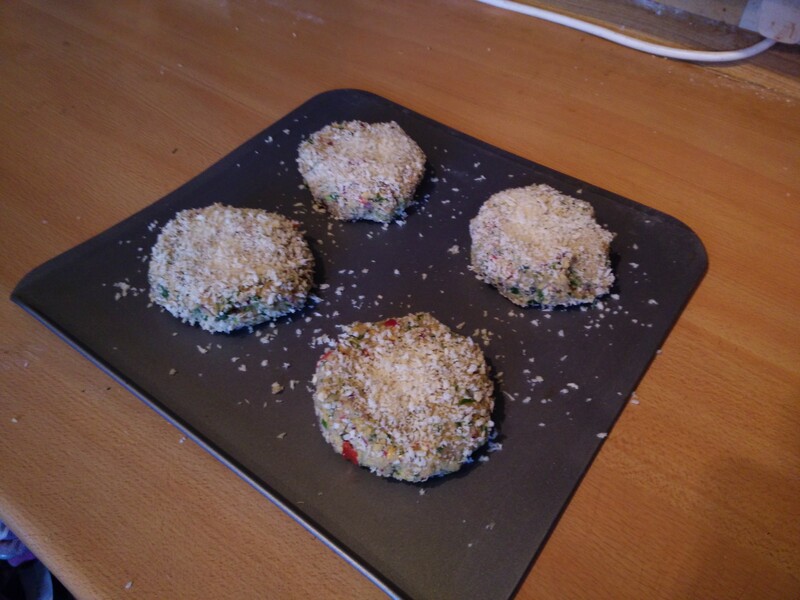 Make into patties, and cover in panko. Then it’s into the fridge until they’re needed. 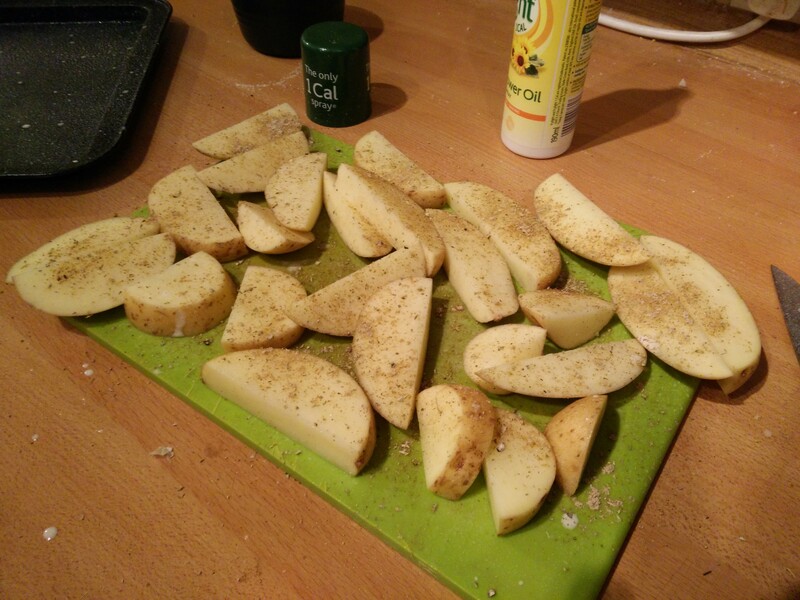 To go with coriander burgers, I’m doing coriander spiced wedges. Well coriander, cumin, garlic and seasoning to be exact. 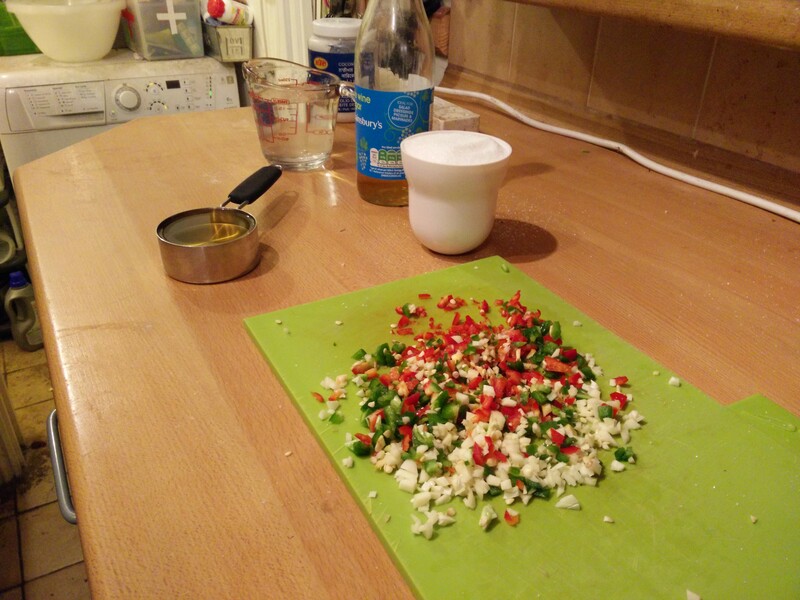 Then Soph had the genius idea to make a chilli sauce, so vinegar, water, sugar, chillies and garlic come out. This boils up for a while, then gets whizzed with a stick blender. 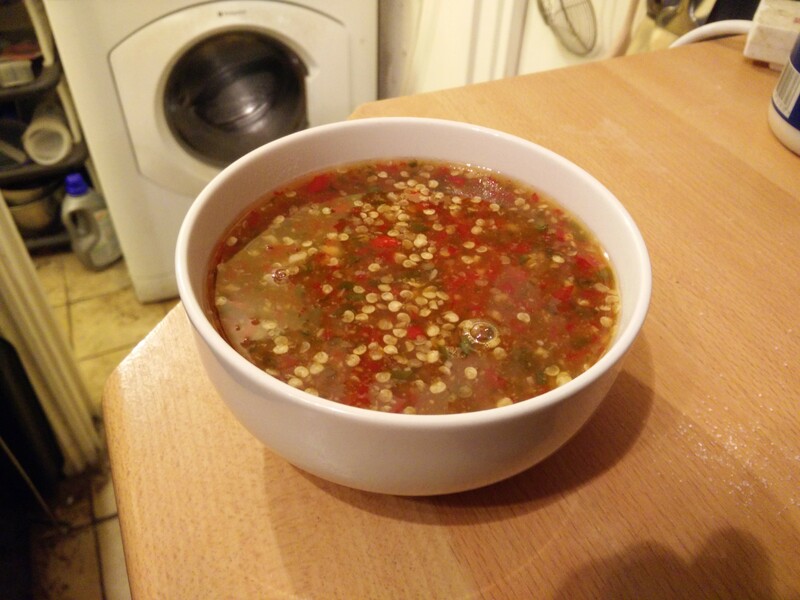 And we have ourselves a chilli sauce, that will be going on all our foods for as long as it lasts. 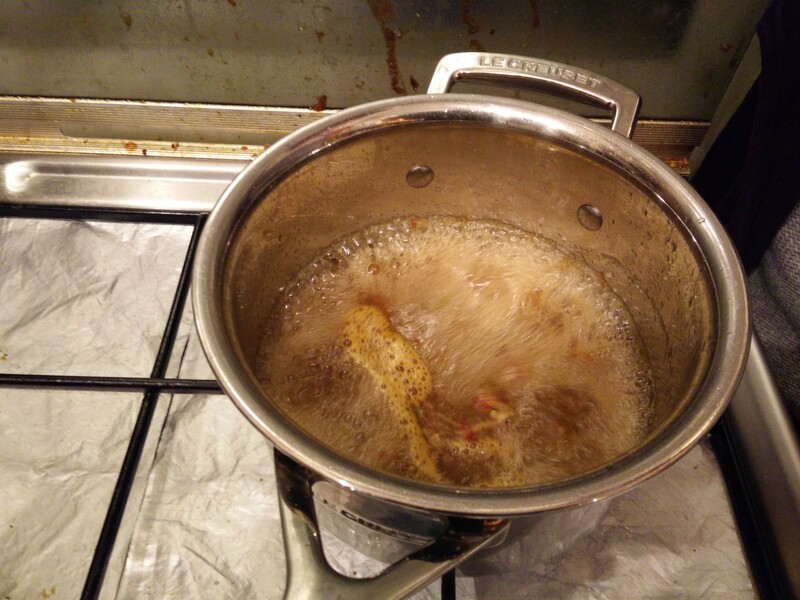 Finally it’s time to fry the burgers up in coconut oil. The burgers go inside sourdough buns, with lots of chilli sauce. 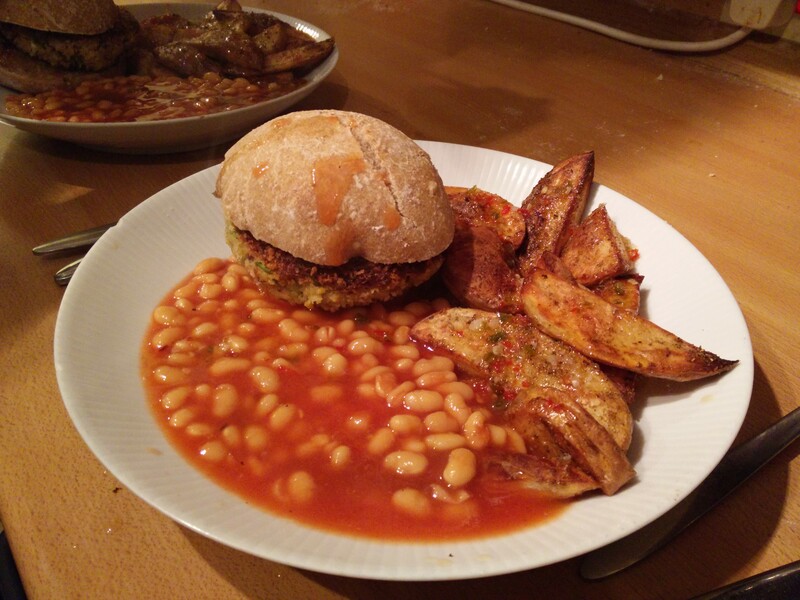 Plus chilli sauce on the wedges. And the beans. 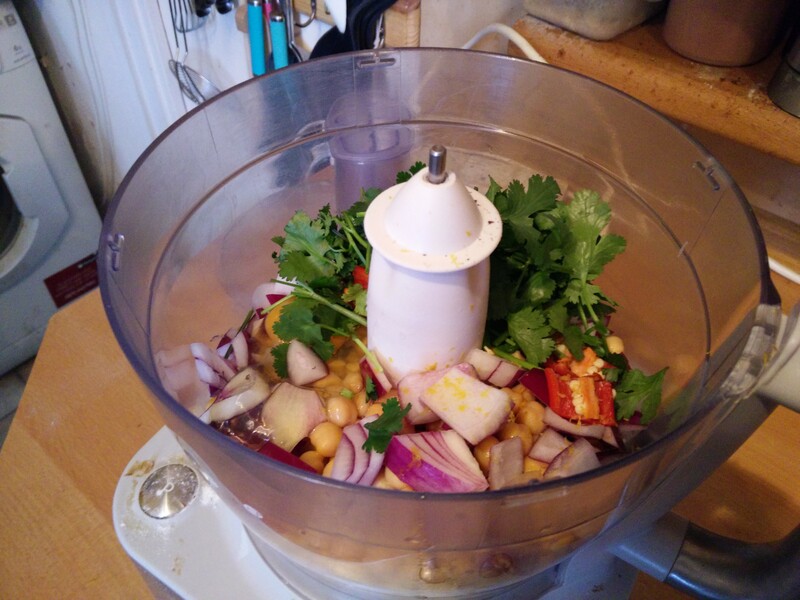 In all the excitement about the chilli oil I forgot about the salad that was meant to go in the burgers. Oh well — it wasn’t missed!